This photograph was taken at the wedding of Joshua Houston, Jr. and Georgia Carlina Orviss in October 1898. Back Row (l to r), Lawrence Wilson, John Wilson, Israel Wilson, Wesley (C.W.) 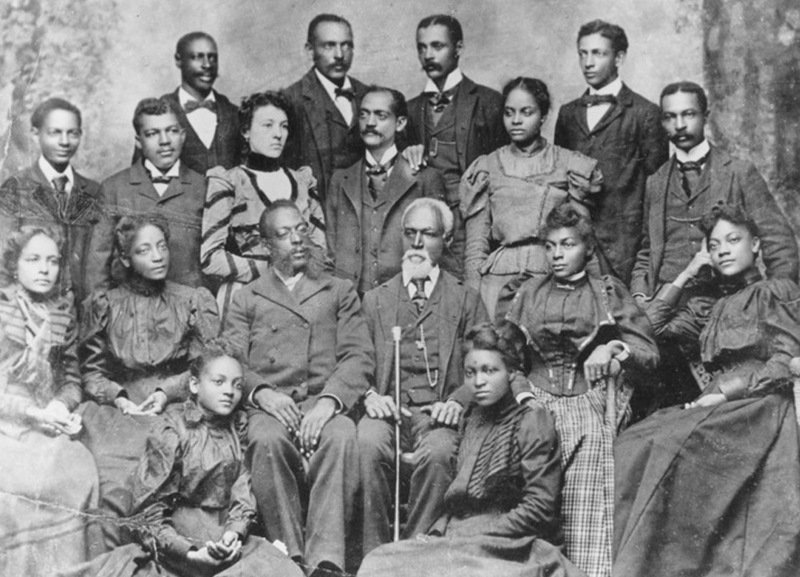 Wilson; Second Row (l to r), Clarence Wilson, Joshua Houston, Jr., Georgia Carolina Orviss, George Wilson, unidentified woman, Samuel Walker Houston; Third Row (seated l to r), Cornelia Orviss, Cadolie Wilson, Reverend Brooks, Joshua Houston, Sr., Ellen Houston, Ida Wilson; Front Row (l to r), Viola Wilson, Minnie Houston.